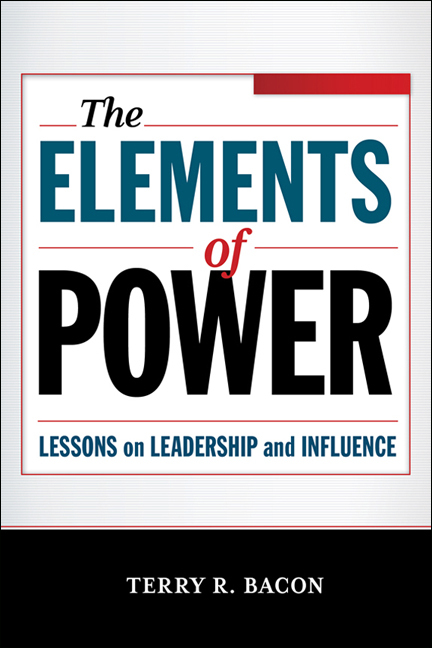 Guest post by Terry R. Bacon, PhD, author of The Elements of Power. When most of us think about the power of leaders, we think about the legitimate authority that comes with whatever role they play in the organizations they lead. CEOs are powerful because they are the chief executives of their companies; presidents are powerful because they exercise the legitimate authority vested in them by virtue of their position. But it turns out that role authority, while an important source of power for leaders, is not a leader’s greatest source of power; in fact, it’s not even among the top four. For the past twenty years, I have been studying power and influence among leaders globally, and that research has yielded some surprising findings about where leaders derive their power. First, the old news. Four hundred years ago, Sir Francis Bacon observed that knowledge is power—and he’s right—but it is a foundational source of power, a prerequisite for being in a leadership position. Character is similar. Leaders could not build a followership without being knowledgeable or skilled in ways that are important to followers, nor would people follow them if they lacked character. Knowledge and character are essential sources of power for leaders, but they are hardly distinguishing. What is news is the importance of attraction, which I define as the ability to draw people to you, to cause them to prefer you to others. It’s based on the psychological principles of similarity and liking. When we like someone or feel similar to them in some way, we are more likely to be influenced by them. So leaders who are more attractive are more powerful. The attraction can be physical but it may also be based on personality, warmth, caring, energy, commitment, or common values. Having these characteristics makes leaders more powerful because they are more appealing to followers. Having an abundance of these characteristics is commonly called charisma. Another surprising finding is the importance of a leader’s reputation. This power source is based on how leaders are perceived in their communities, whether those communities are business units, companies, tribes, teams, or nations. It goes without saying that a leader’s reputation is critical—just look at Eliot Spitzer before and after news surfaced of his dalliances with a prostitute—but the research shows that leaders with good or very good reputations are more than three times as influential as leaders with average or poor reputations. Being highly thought of is so critical a source of power for leaders that they should do everything they can to protect it. Moreover, a strong reputation has a halo effect—it enhances all of a leader’s other sources of power. One of the biggest surprises in my research was the effect of a leader’s ability to communicate. I call it expressiveness—the ability to communicate in commanding and compelling ways. It’s the power of eloquence. People with the gift of speech—like Abraham Lincoln, Winston Churchill, and Martin Luther King—are nearly four times as influential as leaders with average speaking ability. Aristotle and Plato understood the power of rhetoric. In fact, they warned against its abuse, and we witnessed that abuse in the hands of another powerful speaker—Adolf Hitler. But when the gift of speech is used ethically, it can build charisma and be an extraordinary source of power for leaders. The biggest ah-ha from the research was the importance of will power. If you want to be more influential or have more impact as a leader, nothing matters quite as much as your desire to be more powerful coupled with the courage to act. The research shows that people with very high will power are more than ten times more influential than average leaders. Walt Whitman called the power of will personal force—the will to do something when others merely dream or talk about it. Will power—along with attraction, reputation, and expressiveness—is the secret sauce, the magic elixir that differentiates between average leaders and those who become exceptionally powerful. Terry R. Bacon, PhD, is the author of The Elements of Power . 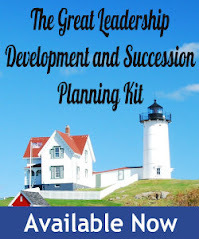 He has been a thought leader, coach, and consultant to global businesses in leadership, management, and interpersonal skills for more than thirty years. In 1989, he founded Lore International Insti¬tute, a widely respected executive development firm recently acquired by the Korn/Ferry Institute, where he currently serves as a Scholar in Residence. For more on Terry and his works, see http://www.terryrbacon.com/ or http://www.theelementsofpower.com/. Great points regarding leadership. The point that leaders must act is so right. It is interesting to me because businesses have been dis-satisfied with frontline managers. I believe they should be given the freedom to make decisions and lead the frontline teams without being so task oriented only. I agree with Liz. Being constrained as a leader makes it really hard to do your job effectively (which is to lead people). A necessary part of leadership or management is to power the people you manage so that they do what you want them to do. I'd agree with a lot of what you have said and add that a major part of that charisma mix has to do with a flexible, creative approach to problem solving. Being able to convey a sheer sense of creativity is something I focus on with my clients and it does dramatically help one to tap into their source of leadership 'power'. Very good insight and thanks for your research. I would like to also add that great leaders know the importance of spending as much of their time in the present moment. This pratice keeps the mind free to address whats happening now, and allows freedom from emotions that come from thinking about past events or the future concerns.